Ecuador’s Former President, Rafael Correa, has said Julian Assange could face immediate extradition to the United States if he leaves the Ecuadorian Embassy in London. In an interview with Euronews, Correa said he expects the Embassy will move to evict the Wikileaks founder very soon. “I think they haven’t done it yet because it would be a worldwide scandal. If they could do it, they would expel him out today. It is a matter of days unless something extraordinary happens unless the international pressure is so strong that they are cowed. But I doubt it,” he said. Julian Assange entered the Ecuadorian Embassy in 2012 to claim diplomatic asylum after being wanted by Swedish authorities for questioning over four alleged sexual offences. He denies the charges and says he fears he will be extradited to the United States to face charges over Wikileaks’ work. Correa says it was this fear that leads his government to allow Assange to seek refuge inside his country’s embassy. “Laws that include the death penalty could be applied to Julian Assange. Given this situation, we decided to grant him asylum because there were no guarantees of a fair trial and Julian Assange's life was at risk,” he said. 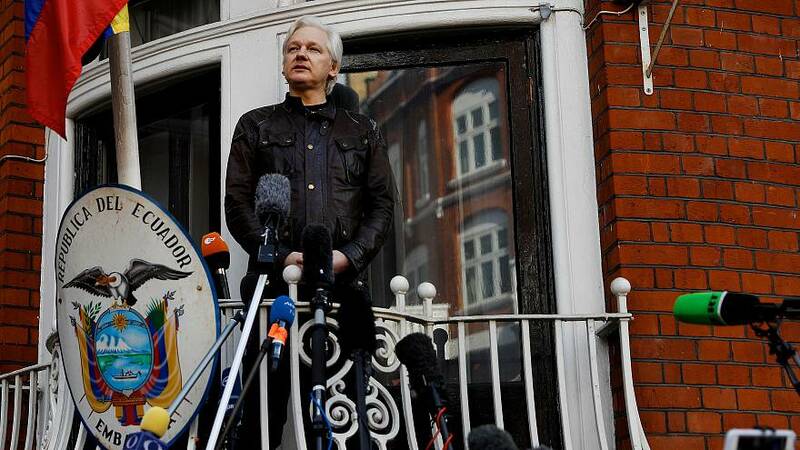 In a tweet sent on Tuesday 4 April 2019, Wikileaks said “A high-level source within the Ecuadorian state has told WikiLeaks that Julian Assange will be expelled within "hours to days” however he still remains inside the diplomatic mission.